MILWAUKEE — The national law firm of Quarles & Brady LLP today announced that the firm has received a Platinum Diversity Award from the Contra Costa County Bar Association (CCCBA). 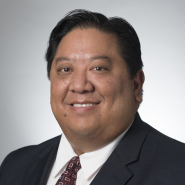 Additionally, James Wu, the California Labor & Employment practice group Chair, has been re-appointed by the CCCBA Board of Directors to serve as President in 2019. The CCCBA Diversity Award is presented to law firms that embrace and implement diversity awareness and inclusiveness in their firms. Quarles & Brady received the Platinum level, the highest distinction for the award. Wu has been President of the CCCBA since 2018 and has been on the Board of Directors for 7 years. He is also a Board Member and Past-President of the Northern California Employment Roundtable, which was created by the California Department of Fair Employment and Housing to help employers learn about, and comply with, employment laws. Wu received his law degree from Boston College. The Diversity Award will be presented on January 25, 2019 at the CCCBA's Installation Lunch at the Contra Costa Country Club. James Wu will also be sworn in as President at the event. The Contra Costa County Bar Association (CCCBA) is a nonprofit organization dedicated to offering support in matters of the law, the legal community and the judicial system. Trusted since 1934, the CCCBA serves thousands of legal professionals and members of the community each year.